Thoughtful and eloquent, as timely (or timeless) now as when it was originally published in 1956, Thoughts in Solitude addresses the pleasure of a solitary life, as well as the necessity for quiet reflection in an age when so little is private. Thomas Merton writes: "When society is made up of men who know no interior solitude it can no longer be held together by love: and consequently it is held together by a violent and abusive authority. But when men are violently deprived of the solitude and freedom which are their due, the society in which they live becomes putrid, it festers with servility, resentment and hate." Thoughts in Solitude stands alongside The Seven Storey Mountain as one of Merton's most uring and popular works. Thomas Merton, a Trappist monk, is perhaps the foremost spiritual thinker of the twentiethcentury. His diaries, social commentary, and spiritual writings continue to be widely read after his untimely death in 1968. 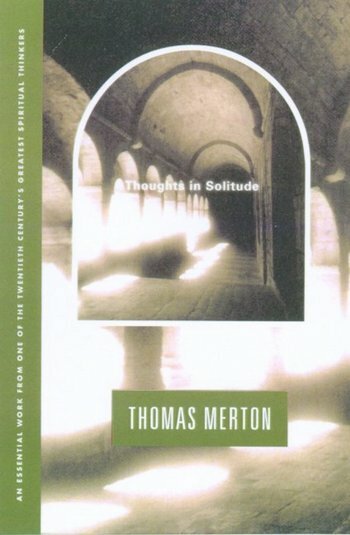 Thomas Merton, a Trappist monk, is perhaps the foremost spiritual of the twentieth century. His diaries, social commentary, and spiritual writings continue to be widely read thirty years after his untimely death in 1968.